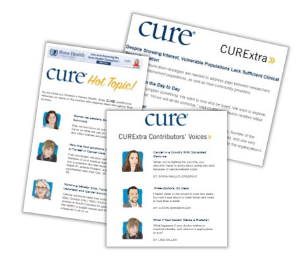 Get personalized emails, specifically for you or your loved one's cancer type or interests. Be the first to know about breaking news and Food and Drug Administration (FDA) approvals so you'll never miss a beat. Have access to our print content before it hits the mailbox with a new issue alert once our seasonal and special issues are online.